Earlier today, Scott Cawthon, creator of Five Nights at Freddy's, uploaded a single picture to his website. You can view it here. It's a hat. Yup...just a hat. The same hat that Freddy normally wears, when he's not trying to kill you. What's the big deal? Why are people overloading the official Scott Cawthon website over a hat, of all things? Looking back on many of my old games, I've found that there is almost always a broken-down robot in them. I'm not sure why this seems to be such a recurring theme in my games, but it's obvious that it's something haunting me. Before I began work on FNaF, I had to choose what game to make out of three potential games, knowing it might be my last try before having to start a new career. I was choosing between a sequel to The Desolate Hope, a remake of my first game - Legacy of Flan, or a new idea about animatronics and security cameras. While working on the first game, I started a crowdfunding campaign for it. I raised exactly zero dollars. Fun fact: The names Freddy, Bonnie, Chica and Foxy were just nicknames while I worked on the characters. I was planning on giving them official names later but had grown very fond of them by the time the game was done. In the original game, Freddy was never originally meant to move around the diner and was only meant to "get you" if your time ran out. This was changed before release. In real life I tend to have waking-nightmares, meaning that I walk in my sleep, etc. One night I dreamt that Bonnie was in the hall outside my door, so I jumped out of bed and rushed to hold the door shut. I discovered that the door was locked and it filled me with dread. In FNaF 1, when the doors don't work, it means something is already in your office! So when I felt that the door was locked, I felt like bonnie was in my bedroom and was about to get me! Thankfully, I woke up. I actually modeled the Foxy character on my laptop while riding on a 24hr drive to visit my in-laws over the summer of 2014. It's very difficult to model a 3D character on a bumpy car ride. Maybe this is why Foxy looks so torn up! While we were there visiting, my kids got to experience Foxy's jumpscare for the first time! It could be Scott Cawthon just opening up, and giving fans something nice for finishing the game—it's not easy to get this ending. 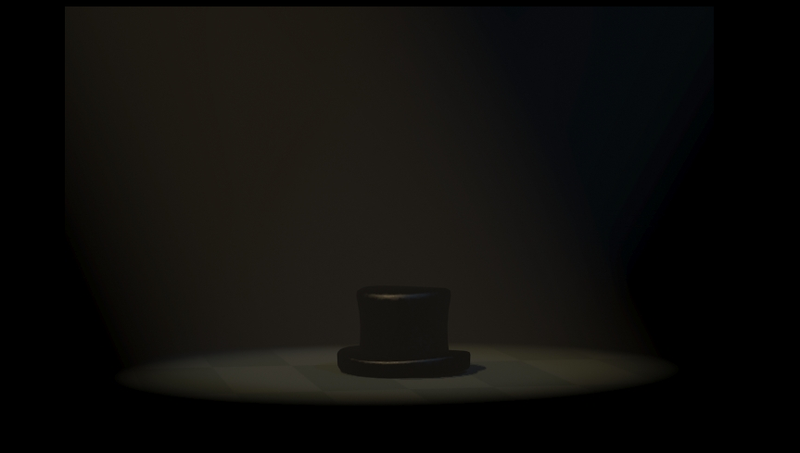 But the combination of the note, along with the hat, and the sad music that plays during the 'real' ending/the not-haunted animatronics in the 'real' ending has some fans convinced that maybe this is it. Normally, whenever Cawthon uploads images to his website, it's to tease fans. You can find all sorts of hidden details if you darken or brighten the images he uploads on his website, or if you look into the code. But not with the hat. It's just...a hat. There's no hidden text, code, or message: just a hat, as far as people can tell. And to some people, what this says is essentially, 'it's all over, folks. Thanks for the memories.' Everyone is speculating. "I'm personally glad the series has ended," one Redditor wrote in a thread where most people are convinced that the hat means it's all over. "Everybody agrees that Scott has outdone himself with the third game a deserves a long break. I'd rather there not to be a fourth instalment in the series, it'd be overworking the idea." It could be that people are reading into it—the ending also says that some items from the facilities were sold off in an auction. How do we know that's not actually the set-up for even more Five Nights games? And sure enough, there are at least a few fans that are holding out on the hope that maybe this isn't it for the franchise. Really, it's too early to tell. I can't help but wonder if people are choosing to read into the hat in this specific way because it feels like this would be a good place to end the series, for everyone's sake. Where could Cawthon take the series from here, really? And if nothing else, getting three games over the course of two years is intense. The idea of a fourth game on top of all of that almost feels ridiculous, especially given how fast the development time is on FNAF games. Who knows. Maybe there's a FNAF 4 in the future. Maybe this is just the Five Nights fandom being fandom—they're famed for seeing clues where there are none. For now, I can't help but wonder what else Scott Cawthon can make.